BBC young choir of the year 2019! We have entered the competition this year and are hard at work practising. Supporting Key stage one during their Nativity play. Help Moto services fundraise for Charity. 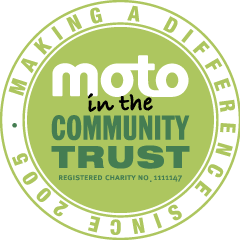 We are an 'adopted school' and support Moto to fundraise whenever we can. They recently donated £4000 worth of fiction books for Key stage 2!